Wellington College one of the Top International Schools in Shanghai. Wellington College offers a unique and carefully created learning community. A holistic education and pastoral provision inspire their vision which is to help give students the values and attitudes of a global citizen. This has led to the institution being named as the top series of international schools in Shanghai. 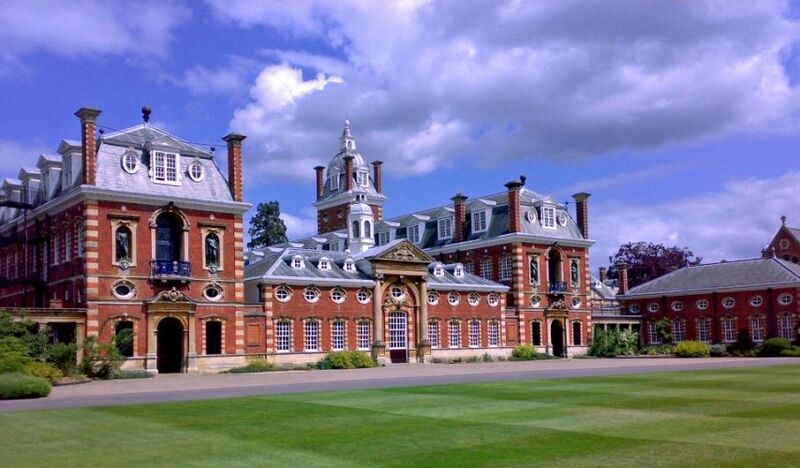 Wellington college recognises that there are vast differences between prep school students and college entry students. Whilst the college offers the tools and guidance needed to help college students prepare for adulthood, Wellington prep school is more structured to meet the needs of their students at each stage of their development. Students aged 7 to 10 years old, otherwise referred to as lower prep pupils, receive both constant academic and pastoral care. Classroom led teaching has a huge focus here, with students receiving specialist teaching for subjects including Mandarin and Physical Education. Students aged 10 to 12 years old, otherwise referred to as the upper prep students, receive an increased capacity to be stretched and challenged, both academically and socially. Upper prep students will receive specialist teaching in all areas of academic education. As a top international school, Wellington have five main traits that they focus on developing in-order-to encourage students to become well rounded individuals. The college works towards encouraging students to develop the ability to think critically and engage in deep learning. Wellington prides itself on producing inquisitive students who are able to think outside the box and enjoy life long learning. Intellectual rigour is a cornerstone of Wellingtons progress to becoming one of the Shanghai’s top international schools. Wellington strives to arm its students with positive moral values and a social conscience that will help students to become well rounded human beings in our complex, modern world. Wellington recognises that every student is an individual and therefore caters to students academic and social needs as individuals. They strive to encourage students to develop themselves fully within both curricular and extra-curricular activities. The ability to recognise a students individual talents, passions and interests are of crucial importance to Wellington and they strive to help students achieve their very best. Independent thinking, study and development are recognised by Wellington as holding high importance to equip students to live successfully in a constantly developing and diverse world. The curriculum and co-curricular programmes offered by the school reflect this and focus largely on character development and leadership skills. One of Wellingtons primary aims is to inspire its students to cultivate a great love of education and learning and to take forward their experience of studying at Wellington to inspire others. Wellingtons deep heritage and academic excellence have inspired many ex-students to go on and become ardent supporters of the school in later life. Whilst these skills and traits are developed on a deeper level once students reach college entry level, Wellington recognises that introducing these early on to young students can help shape them into becoming well rounded individuals both in the present and later on in both their academic, professional and social life. Wellingtons number one goal was to become a highly reputable series of international schools in Shanghai, China and to inspire a love of learning that helps set students up for success as they progress through life. As students move from pre-prep into prep school the schools focus changes in-order-to achieve this goal successfully. The emphasis focuses more on high academic standards as well as the introduction of a more extensive and varied choice of co-curricular activities to help students start developing their own interests and passions. The combination of these two approaches to education is an integral part of Wellingtons curriculum and vision, which strives to encourage all students (often referred to as Wellingtonians) to fulfil their full potential. By offering traditional and formal teaching practices, as well as imaginative and creative approaches, Wellington is able to offer a highly effective learning model which caters to each students individual learning needs. The curriculum offered by Wellington prep school is based on the English National curriculum. Whilst reflecting the schools International reputation and diverse, multi-national student body, It has been designed to enhance and incorporate the most effective elements for learning from the International Primary Curriculum. Specialist subject teaching of the highest quality for traditional academic subjects such as Maths, English and Science, is offered to students from year 5 onwards in order to arm students with the best possible chance for becoming high achieving students in these areas. The school has found over its many years of being a top educator that this style of learning is highly effective in laying solid foundations for the student’s future. Working with and learning from different teachers has been proven at the school to help develop a sense of independence and flexibility when it comes to learning. The curriculum offered by the school has been designed to develop and meet the individual needs of each and every student by allowing them the opportunity of receiving the highest standards of education and academia that aims to prepare them for their progress into senior school. Opened in August 2014, Wellington College International Shanghai is at every level an extension of its partner school, Wellington College in the UK. Embracing the prestigious and forward-thinking partner, Wellington’s curriculum is based on the British National Curriculum and the fundamental approach of its unique model of education, the Eight Aptitudes. once you have safaris in any east africa countries i can manage with my team here. including Tanzania,kenya,uganda,rwanda and burundi all this is possible with the best price ever. great people for the memorable experience. Great content about Schooling in China what is their yearly tuition fees?